The opposition National Democratic Congress (NDC) has taken its first major step to frustrate the Jean Mensa-led Electoral Commission (EC) by refusing to attend an Inter-Party Advisory Committee (IPAC) meeting yesterday. The NDC has on many occasions pledged to make life difficult for the new EC chair since Charlotte Osei and her two deputies were dismissed over misconduct. Yesterday’s IPAC meeting was the first of its kind since Jean Mensa and her two deputies took over the affairs of the EC. The meeting was to discuss plans to organise a limited voter registration exercise scheduled from 16-25 September, 2018 ahead of the December 27 referendum for the creation of new regions. The invitation read: On behalf of the Electoral Commission of Ghana, I am pleased to invite you to Inter Party Advisory Committee (IPAC) meeting on Wednesday, 22nd August 2018. The time is 1:00pm. The venue is the IPAC room of the Electoral Commission. “Mr Samuel Tettey, Deputy Chairperson (operations), will lead the meeting in my absence,” the letter, signed by Jean Mensa stated. But the NDC executives openly declined to attend the EC meeting, claiming they had received their invitation very late. According to the General Secretary of the party, Johnson Asiedu Nketia, the invitation for the meeting came at 12:14pm on Wednesday to attend the meeting which was scheduled for 1pm same day. In a statement signed by him, the NDC official claimed the EC invitation came at a time the party executives were in a meeting with its council of elders, hence they could not attend the meeting. Although the party claimed they were invited to the meeting at the last minute, there are some who are of the view that the NDC was just using this to frustrate the work of the new EC boss as it had promised. Although the party claimed its late invitation to the meeting was behind the reason for the boycott, the statement by Asiedu Nketia seems to suggest that the meeting was hurriedly organised. Meanwhile, the NDC has vowed to reject any decision taken at the meeting since it was not properly invited. “If the meeting proceeds as scheduled, the NDC will not consider our good selves as having been properly invited to participate in it and shall therefore not be bound by any decision taken there from,” the NDC threatened. This is not the first time the NDC is boycotting an event organised by Mrs Mensa. 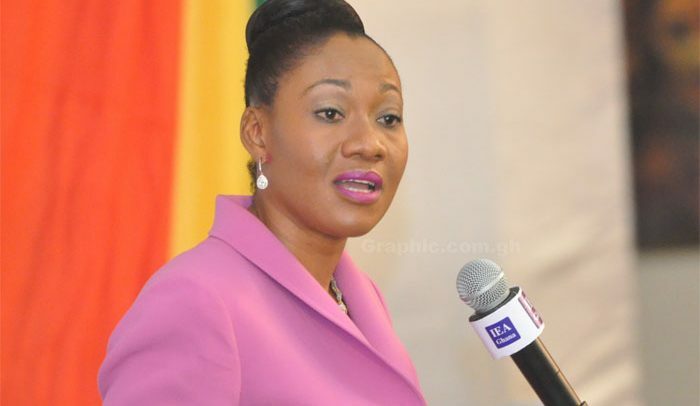 Apart from the party vehemently opposing her appointment as EC boss, the party had in the past boycotted some programmes organised by the Institute of Economic Affairs (IEA) when she was its head. They often claimed that she had displayed bias towards them when she was the head of IEA.